To most people, Memorial Day marks the end of school, the beginning of summer, the season’s first full-blown BBQ party, or simply another reason to drink beer and watch the ball game. It’s understandable, given that it coincides with the temperatures rising to summer proportions. And let’s not forget, it’s a three-day weekend. You can’t let that pass without a party, right? Besides, we’ve always had a barbeque party this weekend, so why stop now. You know what — I agree. It’s a great time to get together with family and friends and enjoy each other’s company, whether it’s at the beach, at the lake, at a ball game or in your back yard. But here’s a thought to add to the party. Let’s take a minute, sixty whole seconds, to remember why this holiday exists. It wasn’t created with the idea of parties in mind. It didn’t come about by a group of guys in a bar that had this great idea for an annual event. It was created to remember those soldiers that gave everything they had to serve and protect their country. Our country! It was created shortly after the Civil War ended. Although there are several towns that claim to have begun this traditional day of remembrance, the town of Waterloo, New York was given official credit for holding the first affair on May 5, 1866. Granted, the official word came down 100 years later, but President Johnson made it official anyway. In the early days, it was known as Decoration Day. The tradition of placing flowers at the graves of every fallen soldier led to the name. The story of the holiday’s origins is an intriguing one, a story that demonstrates the fact that human beings in a free society, a society that had to fight to obtain its freedom, are naturally compassionate and good people. Unfortunately, with today’s watered-down, politically correct versions of history being taught to our children, much of this has been lost in the stories. As a result, to many people Memorial Day is simply the kickoff party for the summer to come. The true meaning of the event has been lost. Here’s an idea. Add another game to your party this year. Play a quick round of Memorial Day trivia, just for fun. You can ad-lib the stakes, although there’s a good chance that beer will be involved. If you don’t know enough about Memorial Day’s history to talk about it intelligently, there are many sites out there that can assist you. I will include some links at the end of this post. Here’s a better idea. Do a little research on your own, simply to educate yourself. Share the information with those around you. Then take a moment during the day, let’s say 3:00 PM local time, and offer a moment of silence for those heroes over the years that made the ultimate sacrifice so that you would be able to enjoy the most free life on earth. I know this will not be easy, since you would have to put down that beer or interrupt that party on the water, perhaps even risk burning a hot dog on the grill. Not much of a sacrifice in the big scheme of things, don’t you think? If you’re at the ball game, or simply watching it on TV, pay an extra bit of attention when the Star Spangled Banner is performed before the game. Listen closely to the words and try to understand the story that is being told. You’ll see that there is no other holiday that is a more fitting setting for this great National Anthem. And if you are fortunate enough to have been asked to perform this great song, please do everyone a favor. Remember that this is not your American Idol audition. Leave the runs out of the song. Forget about the high pitched, Mariah Carey screeching at the end of the song. Sing the song as it was written. You have been given the freedom and honor to present this anthem to all within earshot. Please have the dignity and decency to do so with the honor that the song deserves. This great country was built on the backs of great people. Through hard work, teamwork and dedication, this has become the greatest country in the world. As with anything worthwhile in life, freedom does not come cheap. It comes with a high price. Today, let’s make sure we remember to honor those that paid the ultimate price to ensure the freedom that we all now enjoy. When was the last time we reached the conference championship round of the playoffs and you found yourself able to make legitimate arguments for all four of the remaining teams to win the Super Bowl? It doesn’t happen often, but it has most certainly happened this year. Clearly, we will be watching the four best teams in the league square off. That doesn’t mean that they have been the best all season long, but right here, right now, there is no doubt whatsoever that the cream has risen to the top. In fact, the last time any of these teams lost a game was back in week 13, on December 4th, when the Falcons lost to the Kansas City Chiefs 29-28. For the Packers, it was week 11 and for the Steelers and Patriots, it was week 10, back on November 13th. Think about that for a moment. One of the teams in the AFC championship will lose their first game since two weeks before Thanksgiving! And have you noticed one thing they all have in common? Let me give you a hint. Brady, Roethlisberger, Rodgers and Ryan! Makes you wonder if some of the other teams in the league are paying attention. Let’s take a closer look at the games! This is tale of two very similar teams that arrived here having traveled very different paths. The Falcons led their division from week 2 and never looked back, cruising to a division title with relative ease. Meanwhile, the Packers struggled for most of the first half of the season, finding themselves at 4-6 and several games behind Detroit for the division lead. Their playoffs literally began in week 12, which is when they began the eight-game winning streak that they’re currently riding. Just think, if they had lost only one of those games along the way, they wouldn’t even be here this week. So, what happened to generate such an historic finish to the season and a surge through the first two rounds of the playoffs? Well, several things, such as a defense plugging the multiple holes that existed in the early season, or an offensive line that began to play more solid games, allowing Rodgers more time to do his thing, or a running game joining the party after being non-existent for so many weeks. Of course, having Mr. Rodgers running the offensive attack doesn’t hurt either. While others around him see doom and gloom, he casually pulls off miracle after miracle with apparent ease. Just ask the Cowboys, who, after making a furious late game comeback to tie the score, watched helplessly while Rodgers, running to his left, threw a 40-yard bullseye to Cook, with not even an inch to spare, to give the Packers an opportunity to win it with a long field goal. With Rodgers leading the way, they can survive with an average defense. Well, at least they have been able to so far. What was a terrible defense a year ago, has become a solid unit this season. They are not the cream of the crop, but they are not to be taken lightly, either. They have shown that they can rise to the occasion when needed. Just ask the Seattle Seahawks, who ran into the Falcon buzz saw last week. So, we have two teams with great offenses and average or better defenses going head to head this week. What does that mean? Well, that’s easy. It means there will be lots of fireworks and lots of points from both teams. So, who wins this game? That’s not so easy. Both teams have shown that you can never count them out. They also have both shown they can score big and fast, so if either team lets up for a few minutes, they may find themselves down by double digits real fast. These teams met way back in week 8, the day before Halloween, in Atlanta, where the Falcons pulled off a nail-biting 33-32 win. There is no reason to think the score will be any lower than that meeting, and most likely will be higher. Both teams are playing better now than they were back in that first battle. This one will be exciting for all fans, regardless of which team they are rooting for. Neither team can ever be counted out, even if one team jumps to an early lead. Both teams are facing injury issues, with Jones hobbling on a bad toe for the Falcons, while Nelson is out and Adams is dinged up for the Packers. But don’t let that make you think either team will run away from the passing game (pun intended). That’s how they both got here and they both have more than just one receiving threat. Ultimately, I’m going with the hot hand and the experienced hand. No one has been able to stop Rodgers yet, and I don’t see it happening this week. It will be an offensive frenzy, with plenty of points scored by both teams, but in the end, the Packers will leave town with a first-class ticket to the Super Bowl. Final score – Green Bay 41, Atlanta 37. There are so many angles to work for this game. Steelers versus Patriots. Brady versus Roethlisberger. Tomlin versus Belichick. All of them make for great storylines, but there will be so much more to this game. The Steelers are making their first ever playoff run with the three B’s (Ben, Bell and Brown) all playing. And when they are clicking, wow! They look great and are fun to watch. 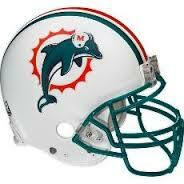 Just think about the first ten minutes of the wild card game against Miami. Before the Dolphins knew what hit them, they had seen Ben hit Brown for a 50-yard TD and a 62-yard TD, and the game was all but over. And watching Bell run is like watching a surgeon patiently waiting for the proper moment and location to make the incision. You think he’s about to be caught for a two-yard loss and BAM, he’s off to an eight-yard gain. You think you’ve contained him, and then you realize he’s run for 150 yards. And unlike the NFC championship, this game will feature some very good defense. The Steelers D will be physical and will give Brady all he can handle. Any time Kansas City staged any kind of threat last week, the Steelers defense came up big to shut them down. The final score was not indicative of the game. If Pittsburgh had only scored one TD instead of one of their six field goals, the Chiefs would never have been close. So how does Brady and Company defeat the Steelers? By doing what they always do. Open holes to establish a solid rushing attack. 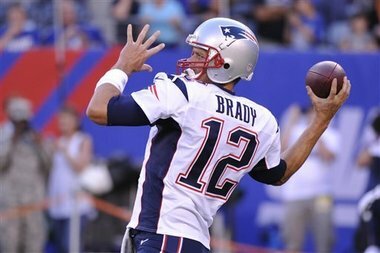 Get the ball out of Brady’s hands for a quick and precise passing attack. And don’t make any mistakes on defense. They must contain Bell and slow down Brown. Well, if any team can do it, it’s the Patriots. When these two teams met in Pittsburgh in week 7, LaGarrette Blount ran for 127 yards and two TDs, and Brady, playing in only his third game of the season, quietly threw for 222 yards and two more TDs, completing 73% of his passes. Short, on target and consistent. He is one of the most frustrating QBs to defend. Although Big Ben did not play in that week 7 meeting, Brady still has an incredible 9-2 career record against the Steelers. So, how does Pittsburgh come to Foxboro and get a win? Well, first of all, they cannot shoot themselves in the foot with penalties, something they tend to do. Also, they must complete their drives and not settle for field goals. Six field goals were enough to beat the Chiefs last week, but it won’t work against the Patriots this week. New England can actually move the ball and score. And they cannot have turnovers. Roethlisberger has thrown three interceptions in their two playoff games. If that continues this week, it may very well cost them the game. All signs point to a physical, low-scoring game, with the team that makes the fewest mistakes walking away with the victory. That means that if the Patriots play their game, they will win. I think they will! Final Score – New England 27, Pittsburgh 20. Before the playoffs began, I made my picks for the entire playoff picture. So far, I’m 8-0. Although you can make arguments for all four remaining teams to go all the way, I see no reason to change from my original picks, even considering injuries to star players. But right or wrong, this Sunday is going to have some great football for all sports fans. So, get ready to fire up the grill and pop open a cold one. It’s gonna be a great Sunday in the NFL! Last week, I decided to take the week off, since all four games were pretty much no-brainers. I didn’t expect four slaughters, but I did anticipate the four winners correctly. This week, things won’t be so cut and dry. There is only one game that I feel warm and fuzzy making a projection about, and I think you all know which one that is. As far as the other three games, anything is possible. Let’s take a look at all four divisional games. This is the classic story of top offense against top defense, with a little twist. More times than not, when the playoffs come around, the nod goes to the best defense. But, this isn’t like most scenarios. Seattle is banged up on both sides of the ball. The past few weeks, the Seahawks looked like they got their running game back, with the one-two punch of Rawls and Procise. However, with Procise out this week, it is now down to one. They will continue to utilize a fullback to make that work, which will take away a much-needed weapon in their passing game. If they don’t figure out a way to get Jimmy Graham into the mix, and rely solely on the magic of Doug Baldwin, Atlanta will shut them down. 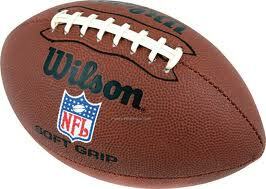 Although they still have a formidable defense, they are missing a key component in Earl Thomas. The strong safety is one of the reasons Richard Sherman looks so good at corner. I’m not taking anything away from Sherman, the man is a stud, but having a guy like Thomas on the field makes his life a whole lot easier when playing against a powerful passing attack. And does any team in the league have as powerful of a passing attack as the Falcons? Julio Jones averaged 101 yards per game this season, which basically means he is unstoppable. Sherman will hope to be able to contain him, but without Thomas’ presence on the field, odds are against that happening for four quarters. And let’s not forget that the Falcons have that one-two punch at running back that Seattle no longer has. Regardless of how good the Seahawk defense is, the Falcons scoring machine will eventually do just that – score! This one may remain close for the first three quarters, but the home team will pull away in the fourth quarter to earn a spot in the NFC championship game. Final score – Atlanta 30, Seattle 20. Okay, here’s that warm and fuzzy game I was talking about. Nobody outside of a few homers in southern Texas are giving Houston any chance in this one. They are overmatched in every category, and it will become ugly before it finally ends. First of all, the Patriots are well-rested, having last week off with a bye. They are relatively healthy and are playing in front of their home crowd with game time temperature predictions at just below freezing. 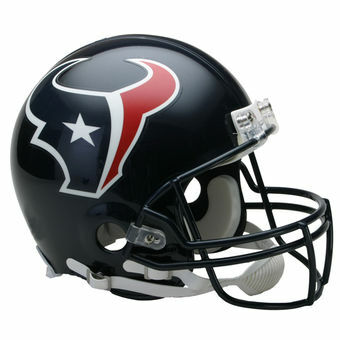 The Texans will be leaving home town temperatures of 75° to join the New England party, entering as 15-point underdogs. They will be hard pressed to keep the game that close. The Patriots, once again, walked away with the AFC East division title. They began the season with Brady serving a four-game suspension, and finished that run at 3-1. Upon his return, they won eleven out of twelve games, finishing at 14-2. Their running game is solid and they seem to include double digit players in every passing game plan, so focusing on one receiver does you no good. Their defense is not the best in the league, but it is solid and it doesn’t make mistakes. Meanwhile, the Texans struggled to win what is quite possibly the worst division in football in the AFC South, finishing with a 9-7 record. They were very fortunate to have faced the Raiders in the Wild Card round last week, a team that came to town with a rookie third string quarterback making his first career start. Well, Texan fans, I’m sorry to say the party is over. You are now entering the no-win zone, otherwise known as Foxboro in the playoffs. Strong, solid Super Bowl contenders rarely win in this environment. The Texans? Ughh! My advice would be to begin the tailgate party early, so you can at least enjoy some of the day. Final Score – New England 34, Houston 13. This is the game everyone is talking about. 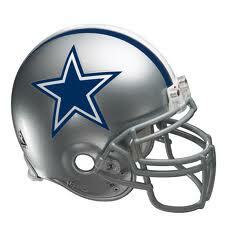 Dallas is the best team in the league, many experts have been spouting. The Packers can’t win without Jordy Nelson, say several others. Blah-blah-blah-blah-blah. Enough already! I guess we should all simply ignore the past six weeks of the season, where Green Bay dissected every team they played. Or we should forget that the Cowboys played a last place schedule? I’m not taking away anything from the Cowboys success on the season, but I still believe, as I have stated many times over the past few weeks, that they are a young team and are relying on too many rookies for their success. That works in the regular season, when the competition level is down on most weeks. But now we’re talking playoffs against arguably the hottest team in the league. And for those who believe that the Packers’ seven-game winning streak was purely a result of Jordy Nelson being on the field, you obviously haven’t been watching their games. Yes, Nelson is a superstar receiver, and he will be missed. But with Adams and Cobb healthy and strong, the receiving game is still well above average, as demonstrated against a very good Giants defense last week. And they have a decent quarterback, too. What was his name? Oh yeah. Aaron Rogers, quite possibly the best, and definitely a top three, of the past decade, especially in the playoffs. Now the Cowboys don’t make a lot of mistakes, and they will score. They have a top three running back and he will get his yards. But the real test for Dallas will be their rookie quarterback, Dak Prescott. He’s had a solid year, but as I’ve said many times, rookies in the playoffs rarely work out, especially at that position. These teams met at Green Bay during the regular season, and the Cowboys came away with the 30-16 victory. But that was early in the season, and was the beginning of a stretch of games where the Packers went 1-5. This is not the same team that the Cowboys faced last time around. This one will be close for most of the game, with a lot of offense from both teams. 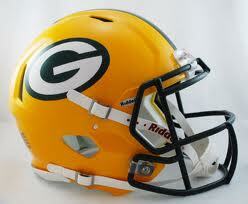 But when the fourth quarter begins, the Packers will put it into overdrive and pull away for the win. Final Score – Green Bay 41, Dallas 27. This is the game that I have been looking forward to. And with the change in starting time for the game, it is now fittingly the final game of the weekend. Due to a predicted violent storm during the day, it has been moved up to a night time start. How fitting that a storm is already impacting this game, since it is certain to be the most violent game of the weekend. These are two physical teams, defined by hard-hitting defense and opportunistic offense. They met in Pittsburgh during the season, and the Steelers destroyed them 43-14. But that was in week four, and it is now three months later. 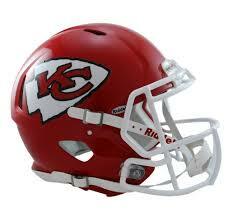 The Chiefs have been relatively consistent this season. Not overpowering, but always in the game and usually finding a way to win. In fact, of their four losses this season, the only one-sided game was the loss to the Steelers. Ironically, in their other three losses, they gave up 19 points each time. They don’t win games with an overpowering offense. In fact, they only scored more than 30 points in a game three times this season. 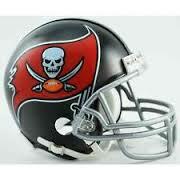 But other than their loss to the Steelers, they have not allowed any team to score more than 28 points against them. This pretty much tells the story of how they must play in order to win this game. They cannot allow Pittsburgh to score a lot of points. And therein lies the problem for the Chiefs. Is there a more potent offense in the league right now than the Steelers? Last week was the first time that the three B’s (Bell, Brown and Ben) played together in a playoff game. And it was over as soon as it began. First, Ben to Brown stole the show with a 50-yard TD, followed by a 62-yard TD, before the Dolphins even knew what hit them. At that point, the Steelers didn’t need to continue with the passing attack, and turned things over to Bell to churn up yards and burn up the clock. They essentially turned off the scoring machine in the second quarter and still finished with 30 points (there’s that magic number)! Now, the Chiefs will offer up a much better secondary than the Dolphins did, so don’t expect the same first quarter results as last week. But don’t be surprised if the Steelers score big either. And if they do, the Chiefs will not be able to stay with them. The Chiefs’ only chance for a victory is to keep the scoring low. The stormy conditions may help, but it won’t be enough. The Steelers will leave town with the victory and a date in New England next week. Final Score – Pittsburgh 27, Kansas City 20. This should be a great week for football fans everywhere, even if your team is already on vacation. There will be three classic matchups (sorry Houston) with something for everyone. Whether you prefer great defense or powerful offense, it is all out there for you to enjoy. So, stock up on the brewskies and get enough charcoal for the weekend. There’s no reason to leave home this weekend! Okay, technically, the final week’s games will be played in 2017, but this is the 2016 season, so the title remains as it is. As far as making the picks for the week, there are only a handful of games that mean much at all, beyond who makes the roster next season and who is not invited back. That makes this week’s games about as easy to pick as week one. Fun stuff! However, there are a few games that still have playoff spots in the balance, so let’s take a look at a couple of them. This week’s Lock of the Week (12-1). It’s common knowledge by now that I don’t see the Seahawks going very far in the playoffs this season. Their offensive line is one of the worst in the league, and with a gimpy Wilson behind center, he is forced to take most snaps from the shotgun position, which doesn’t allow Rawls (or whoever happens to be healthy for the week) to get any momentum going. This has pretty much nullified the running game, and without Wilson’s ability to scramble like he has in years past, the offense goes as the passing game goes. Enter the 49ers. When they play the Rams, they look great. In fact, they’re undefeated at 2-0. Against the rest of the league, well, not so much. They are 0-13. This week won’t be any different. They have so many gaps on defense, and I’m not talking about running stunts, that Wilson and company will be able to pick them apart all day long, which will allow Rawls to break out for a 100+ yarder. 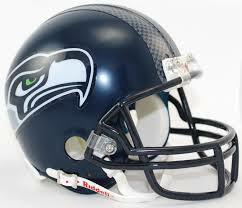 Seattle needs this game to keep the #3 seed and avoid the Giants in the first round. If, somehow, Atlanta happens to lose today, a win here will give the Seahawks the #2 seed and a first round bye. They have too many reasons to want to win this one. Which means one more week of pain and embarrassment for the home team. Final score – Seattle 31, San Francisco 6. This week’s Upset of the Week (6-7). I know what you’re thinking. Two teams heading for vacation next week. Who cares which team wins. And you’re absolutely correct. Neither team will make the playoffs, so why would they bring their A-game to the field? Well, that’s what I’m counting on. With a playoff spot on the line, I’d be going with the home team here. But with nothing on the line, I’m looking for another ho-hum game from the Vikings. 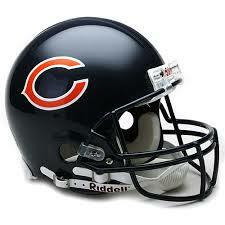 Meanwhile, da’ Bears have been battling hard for the past few weeks, and I expect nothing less this week. I’m not saying I think this will be a pretty game, but I do expect Chicago to play with a little more life than the Vikings. And in week 17, in a game that means very little, that could be the difference. Final Score – Chicago 20, Minnesota 16. This week’s Game of the Week (9-3-1). The schedule gods could not have done a better job in putting this game in week 17. Early in the season, the Lions were everyone’s darling Cinderella team (well, not mine, but most of the experts). Meanwhile, the Packers were struggling to remember how to score. Then about five weeks ago, the tables turned. The Lions only needed to win one or two games down the homestretch to lock up their division and grab a first round bye. Only one problem, they started playing good teams and were exposed for the barely better than average team that they are. 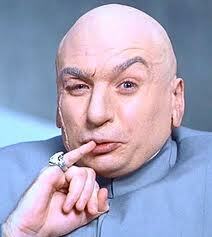 Meanwhile, the Packers suddenly remembered how to complete a pass and how to get the ball into the end zone. Suddenly it didn’t matter that their defense was sub-par. They simply began outscoring everyone on their way to a five-game winning streak. So, here we are in the final week of the season, with everything coming down to this one game. The winner takes the North division title and, most likely, the #4 seed. The loser, most likely, is out of the playoffs, although there are about a dozen potential outcomes in that regard, depending on what happens in Washington and Tampa Bay. Unless something strange happens this week, like the Packers suddenly forget how to score again, the game will not match the hype. I see Rogers and company jumping out early and never looking back. Final Score – Green Bay 34, Detroit 20. So, there you have it. Carve it in stone and lock it up in the vault. And then forget about it because it is, after all, week 17, which means the prognosticating gods have taken the week off. So, fire up the grill and pop open a cold one (if you didn’t have too many last night). It’s the final week of the season! Well, it only took until week 15, but I finally racked up the old 3-0 record last week. (For those of you who are math whizzes like me, I took a few scattered weeks off during the season!) That’s the good news. The bad news is, we are now in week 16, which, along with weeks 1, 2 and 17, is nearly impossible to be perfect at when prognosticating winners and losers. But what the heck. It’s Christmas week, after all. Let’s grab another egg nog and see what we come up with! This week’s Lock of the Week (11-1). N.Y. Jets at New England. If ever there was a game that was gift-wrapped for this category, it is this one. New England is not about to sit their stars, since they will need victories in the final two weeks to ensure the #1 seed and home field advantage throughout the AFC playoffs. As far as the Jets go, is there another team in the league as discombobulated as they are right now? (I said team, so the Browns and 49ers are not being considered here!) Not only do they still have a quarterback controversy, but now their locker room appears to be hanging by a thread. So, let’s invite our most hated rival, who just happens to be the best team in the league, over for Christmas dinner. That should fix things. Yeah, yeah, that’s it. That’s the ticket! 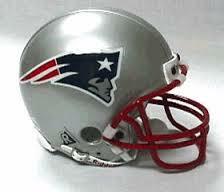 This will be an ugly game for all football fans, except the die-hard Patriot fans. The Pats should jump out to an early lead, and then just pound the ball down the Jets’ throats for the rest of the game, eating up the clock and keeping the inept New York offense off the field. Bring a few extra brewskies with you to this one, just to keep it entertaining! Final score – New England 31, N.Y. Jets 13. This week’s Upset of the Week (6-6). I was actually surprised to find that this was being considered an upset by the experts. I mean, have they been watching this Texans team lately? Sure, I know, we’re talking about the Bengals coming to town and stealing the Houston Christmas candy, but don’t write them off on this game. The Bengals are one of those few teams that fall into the category of “they’re better than their record says”. Yes, they will be absent in this year’s playoff party, but even when they are invited, they’re usually no-shows, so who’s going to miss them. But this week, in Houston, they will be the better team. Houston, while in the thick of the battle for the division title, has decided to bench their season-long starting quarterback for, what’s his name? Oh yeah, Tom Savage. That should work out just fine. And it should pay off in the long run. Just think of how many Christmas cards they should be getting from Tennessee fans this year! Let’s face it, Houston’s problems run deeper than their over-paid QB, and the Bengals will expose some of them this week. This will be an ugly game, with plenty of sacks and turnovers to go around. 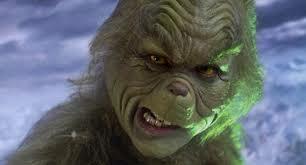 In the end, the Grinch will pay a visit to Houston, and he’ll be wearing a Bengals uniform! Final Score – Cincinnati 20, Houston 16. This week’s Game of the Week (8-3-1). There were a lot of games to choose from, like Minnesota at Green Bay, Denver at Kansas City at Denver and Detroit at Dallas. All of those have playoff implications for both teams involved, but none will be as entertaining to the football fan as this one. Indianapolis, written off by most fans only a few weeks ago, has suddenly discovered how to score points, which has allowed them to stay in the race for the AFC South. Granted, they will need to win out and still get some help, but they are not out of the race and seem to have found a belief in themselves that was lacking for the majority of the season. Meanwhile, the Raiders, my preseason pick to win the AFC West, after stumbling for a couple of weeks, appear to have regained their winning form and are poised to put their division away. They will need to win out and get a helping hand next week in order to grab the #1 spot, but the #2 spot is in their control, and that should be motivation enough to show up in a big way this week. Neither team is known for their stellar defense, but there is plenty of talent and firepower to go around on offense. This may resemble an Arena League game, with the team that punts the fewest times walking away with the W! I’m looking for the home team to move one step closer to that division title. Final Score – Oakland 34, Indianapolis 27. It’s a bit strange watching the majority of the games being played on a Saturday this week, but there will still be two great games Sunday and one on Monday, which should make this holiday weekend entertaining for all. Be sure to set your DVRs. 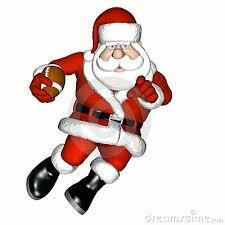 Have a safe and Merry Christmas and go enjoy some great football! This is a strange season indeed. With three weeks remaining in the regular season, only New England and Dallas were guaranteed playoff berths, and only the Patriots had locked up their division. Seattle joined that party after beating the hapless Lambs this past Thursday, but the playoff picture as a whole is still wide open. This week’s games will help shed some light on a lot of the big questions, such as who will grab the #1 seed in the AFC, which mediocre team will end up with the #6 seed in the AFC, will a wild card team represent the NFC in Houston and will it even matter which NFC team ends up in the Super Bowl. There are thirteen games yet to be played this week that impact one or more of those four questions. So, hang on to your hats, folks. This should be a fun week for football! This week’s Lock of the Week (10-1). Never before have we seen a team sink as quickly as these 49ers, after opening the season with a convincing victory over a division rival. Twelve games later, they are sitting with the #2 pick in the upcoming draft firmly in hand with a 1-12 record. This week, they get to travel to the ATL to play a team that suddenly must worry about making the playoffs, not just winning their division, which seemed well in hand a month ago. Things couldn’t get much worse for San Francisco (if they actually wanted another victory at this point). Although I still believe that the Falcons’ record is a reflection of an over-achieving team during the first half of the season, they should have no problem of disposing of the 49ers this week. They have too many weapons on offense to be shut down, and their defense, which is beginning to show how average they really are, will be able to contain the impotent San Francisco offense. This one will be over before the fourth quarter begins. Final score – Atlanta 41, San Francisco 20. This week’s Upset of the Week (5-6). First of all, let me say that I am not a big fan of Indianapolis. I think they have a lot of potential to put up points, but are incapable of protecting Luck for an entire game, allowing him to be sacked more than any other QB in the league this season. And their defense is nothing to brag about. However, Minnesota’s offense, which is comprised of a lot of second stringers, has been revealed as subpar at best, and downright awful on bad days. Their defense is the only thing that keeps them in games, and they should get their fair share of sacks this week. Both teams desperately need a win, and some help, if they want to stay alive in the playoff conversations. The loser is probably out. In these scenarios, the first instinct is to go with the home team, but I’m going against the grain in this game. The Colts have recently shown the ability to put up points quickly, even if for a brief amount of time, but I think that will be enough to take down the Vikings, who have seemed to forgotten how to score. This will be a close, sloppy game, with multiple turnovers by both teams, but in the end, only the Colts will still be talking about their chances of making the playoffs. 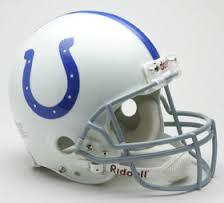 Final Score – Indianapolis 27, Minnesota 20. This week’s Game of the Week (7-3-1). This is the second week in a row that the Giants have been part of this category. Last week I picked them to lose to the Cowboys, which turned out to be my only mistake on the week. So, I’m giving them a second shot to help me out, but I’m going with them to win this time. I know that the Lions have turned into everyone’s darlings this season, but I am still not convinced they’re as good as experts think. In fact, I’m still not convinced they will even make the playoffs. If they lose this week at the Giants and next week at Dallas, both very real possibilities, they may have to beat the Packers in the final week to not only win their division, but quite possibly to join the playoff party. Things aren’t looking good for the Lions. 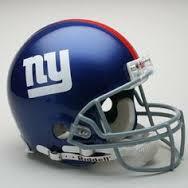 The Giants, my pre-season pick to win the NFC East, have been playing like the team I thought they were. Even when their offense sputters, as it did last week against the Cowboys, their defense rises to the occasion, as it did last week when it shut down the scoring machine that the Cowboys have become. Yes, the Lions have a potent offensive attack, but they haven’t seen a defense like the one they’ll visit this week, and I think it will make a big difference. Although they will rack up some yardage, their scoring will be held in check, as Stafford will be running for his life. Look for a physical game, with several turnovers, mostly by the visitors. Final Score – N.Y. Giants 27, Detroit 17. There you have it. Carve it in stone and hit the presses. Now it’s time for some great football, so fire up the grill and pop a cold one. It should be a great day!